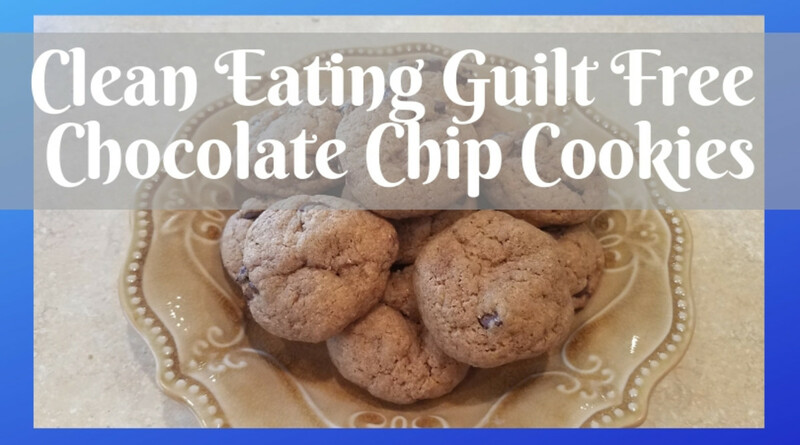 I have to tell you that chocolate chip cookies was one of the biggest challenges for me when we decided to go clean eating at our house. Clean eating simply means that we gave up all processed foods and refined ingredients like white sugar and white flour. 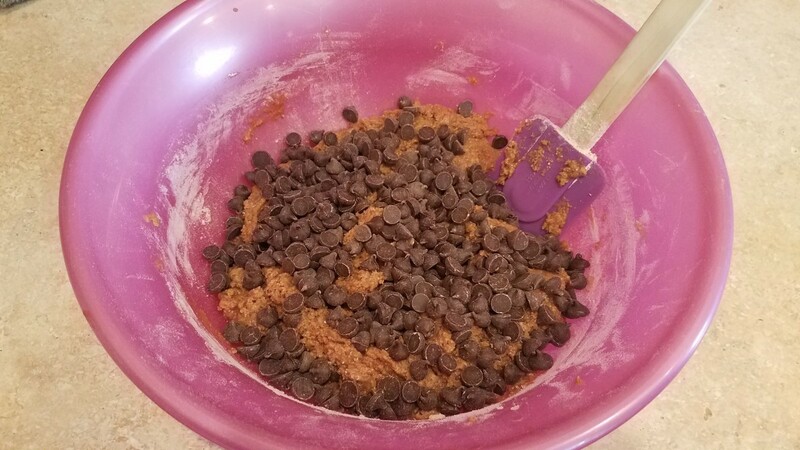 Chocolate chip cookies was one recipe that I simply couldn't figure out. 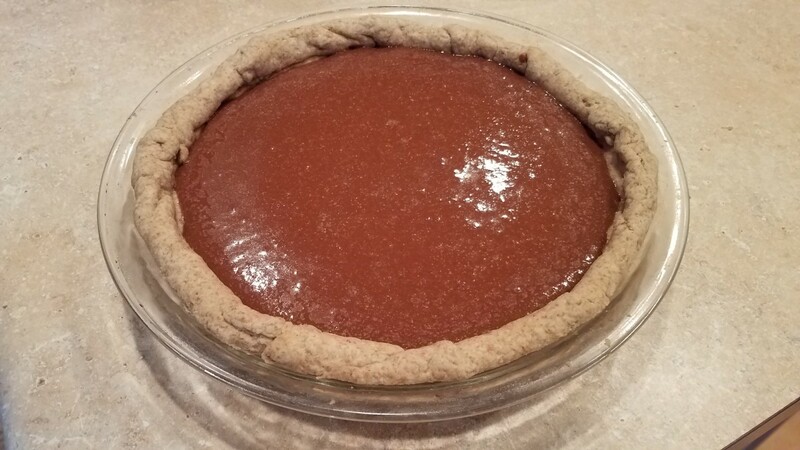 This may sound silly, but whole wheat flour simply doesn't substitute 1 to 1 for white all-purpose flour, and coconut sugar and raw honey just don't have the same consistency as white sugar. 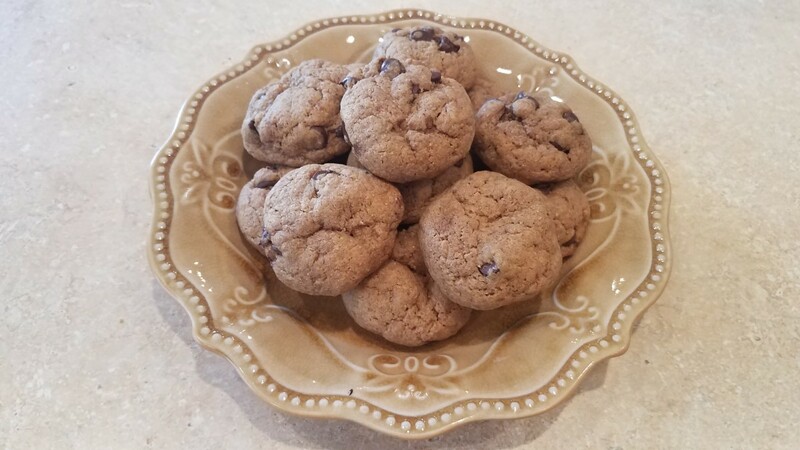 I tried SO many different recipes that you wouldn't believe me, and not a one was anything like the chocolate chip cookies I'd become famous for. It has now been four years with this new way of eating, and I am so glad we made the change. 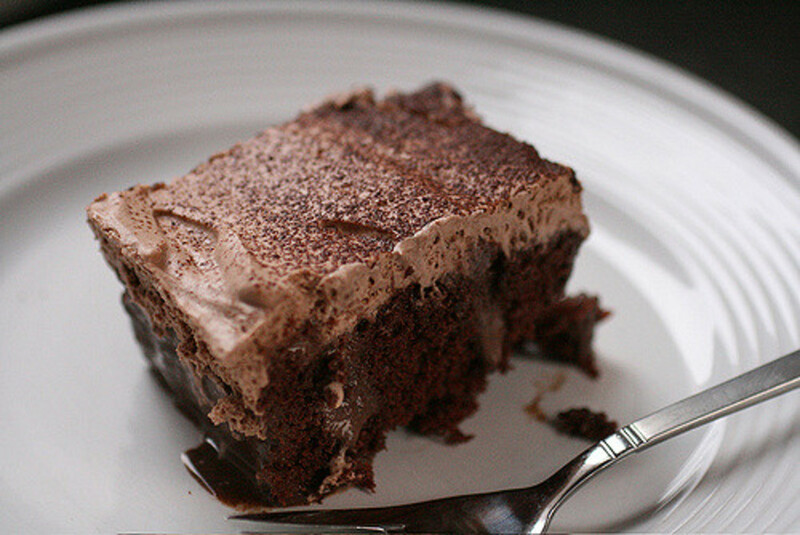 However, only recently was I finally able to figure out how to make those delicious bites of chocolatey goodness again. And they taste exactly like what I came to know and love before embarking on our clean eating journey. 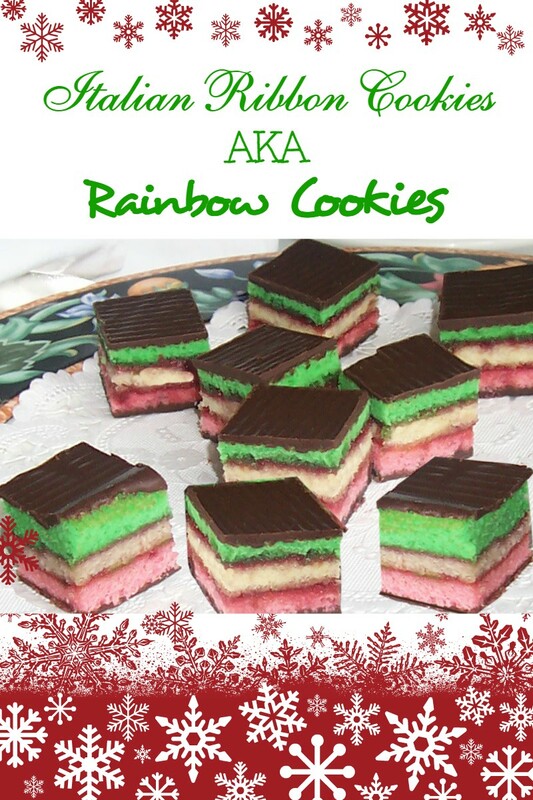 One of the many great things about these cookies, though, is that they actually are perfectly healthy for you. You could sit down and eat a handful of these babies every day—and not have to worry about calories, sugar, or your diet. They are filled with all-natural, wholesome ingredients that will only add to any better eating diet. Trust me. They may taste sinful and delicious, but they are good for you, too! Don't just trust me. Check them out for yourself. Once you make that very first batch, you may never go back. And I use this same recipe to make the cookie portion of my yummy cookie brownies. I'll be sharing that recipe next! 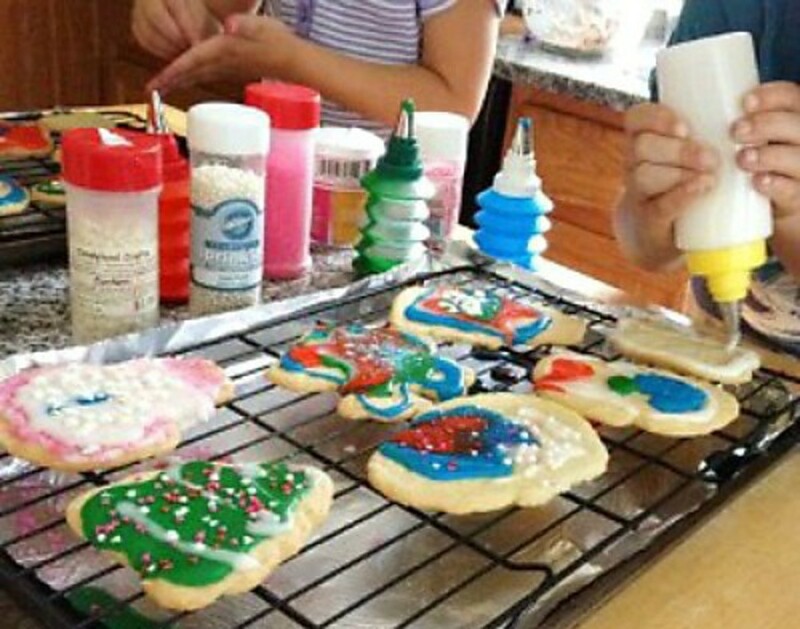 First, let me show you how I made these yummy cookies. 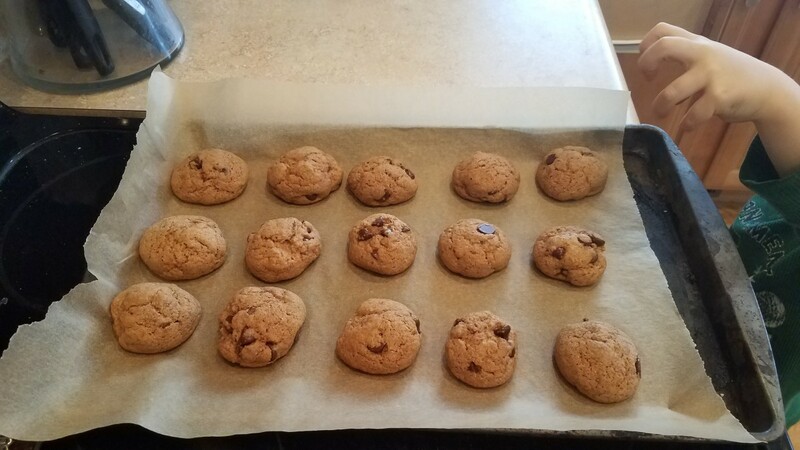 Preheat your oven to 350 degrees F and line a couple of cookie sheets with parchment paper. Combine your melted butter, eggs, and coconut sugar together. Mix. 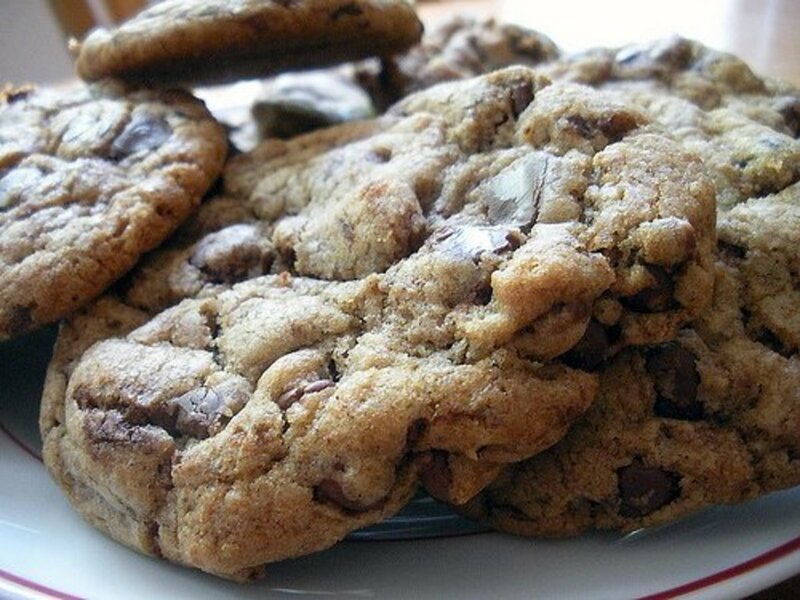 Dissolve your baking soda in the hot water and then add it into your cookie dough. 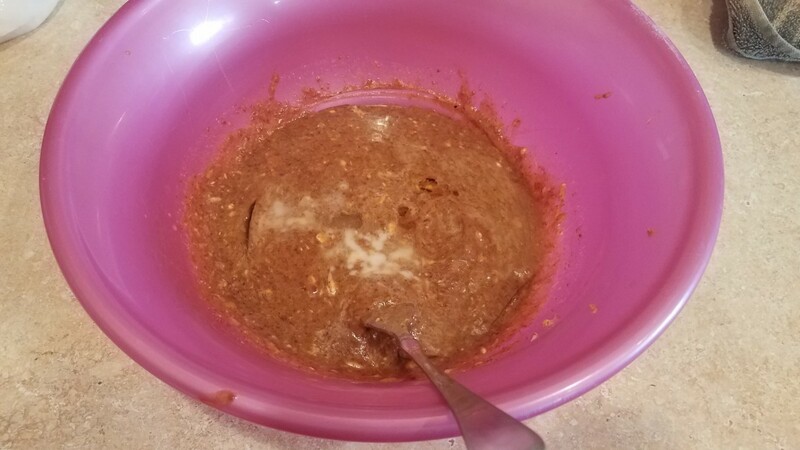 Finally, mix in your melted honey and flour, followed by your dark chocolate chips. Roll your cookie dough into balls and lay them out evenly on your prepared cookie sheets. 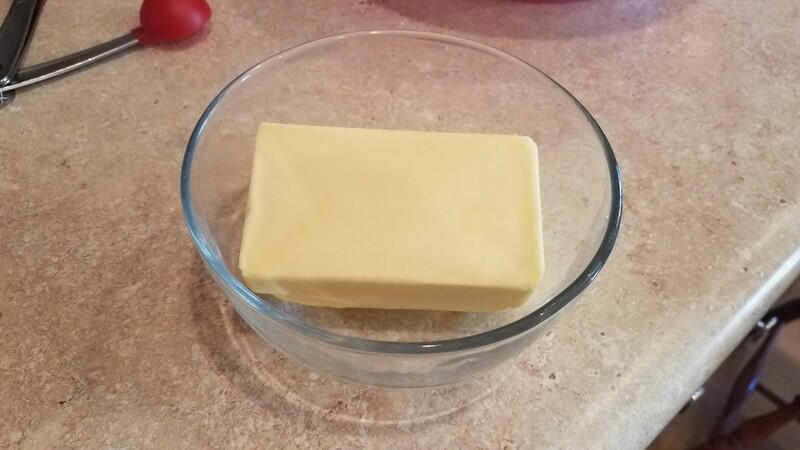 Start by melting a cup of butter in the microwave. 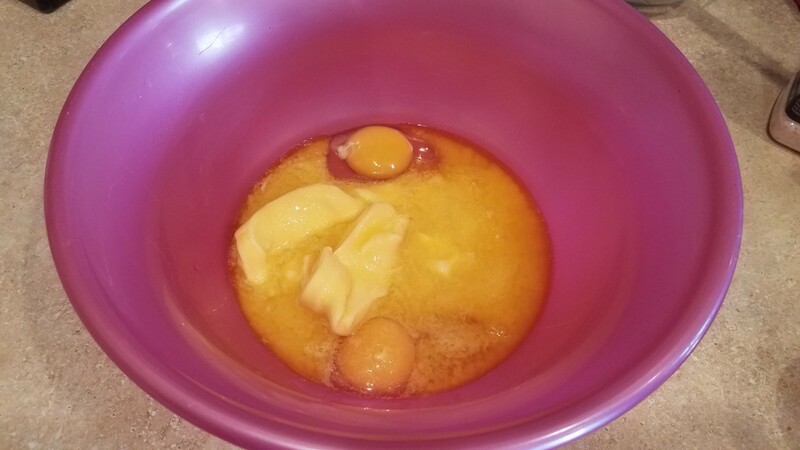 Combine your butter and your eggs into a large mixing bowl. 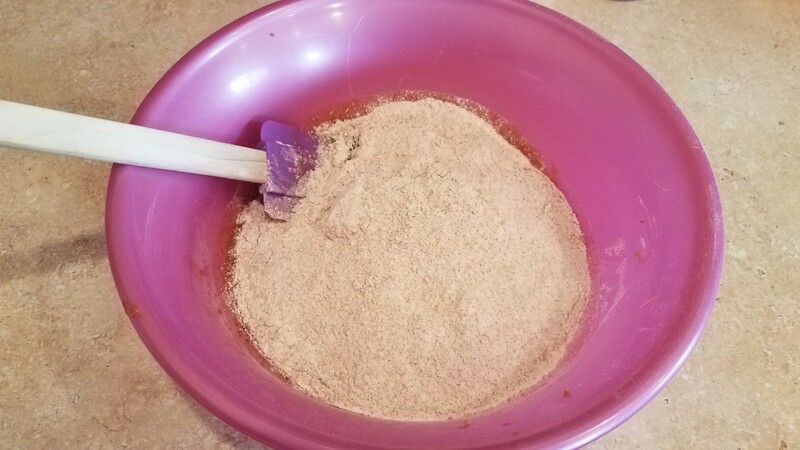 Then add your coconut sugar. 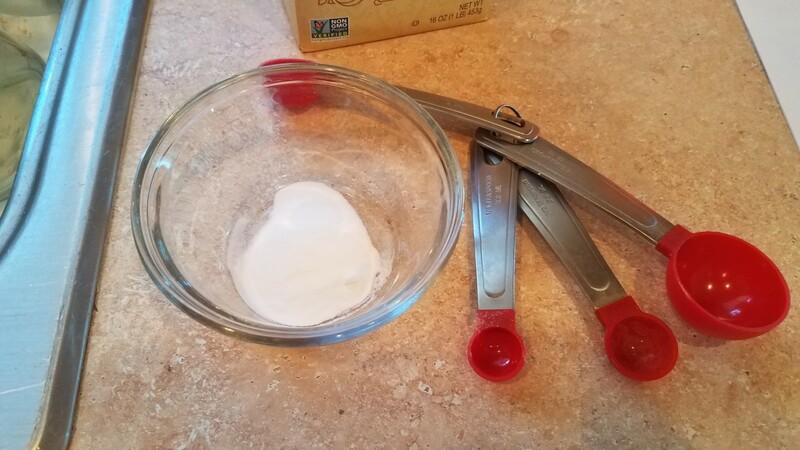 Mix your baking soda and hot water in a small bowl until the baking soda has dissolved. 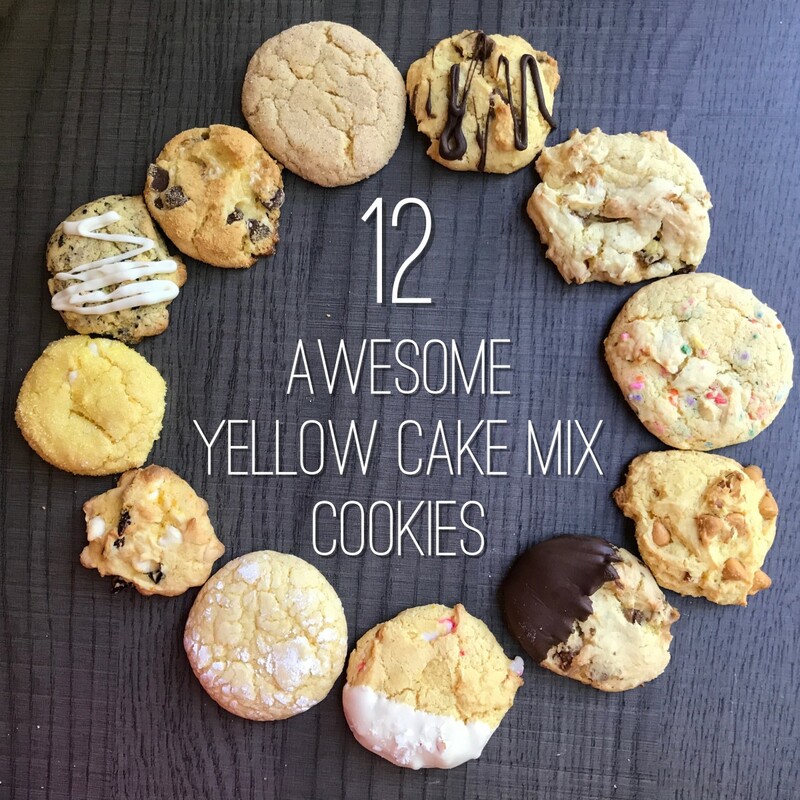 Add this to your mixing bowl. 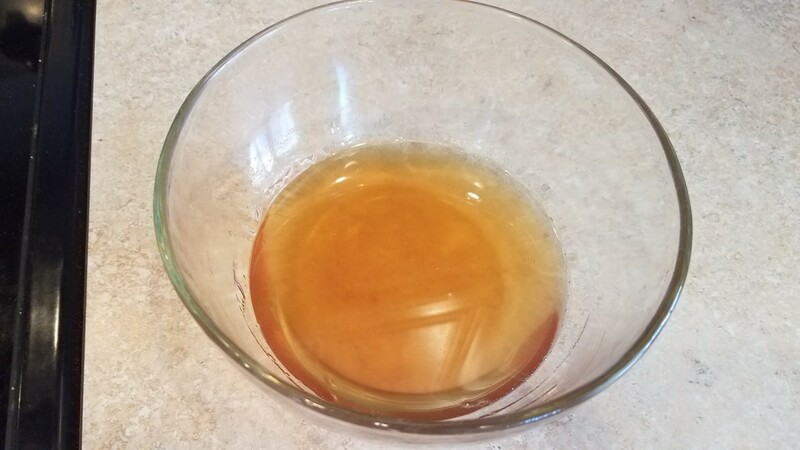 Next add your melted honey. And then your flour, and stir until mixed. 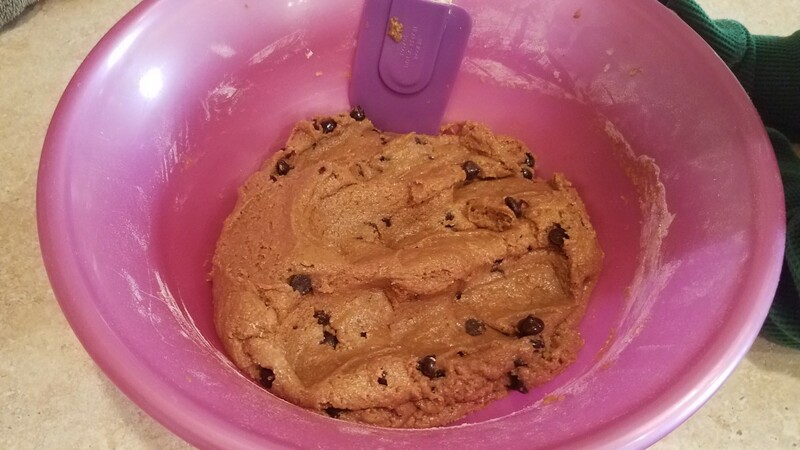 Finally add in your chocolate chips. 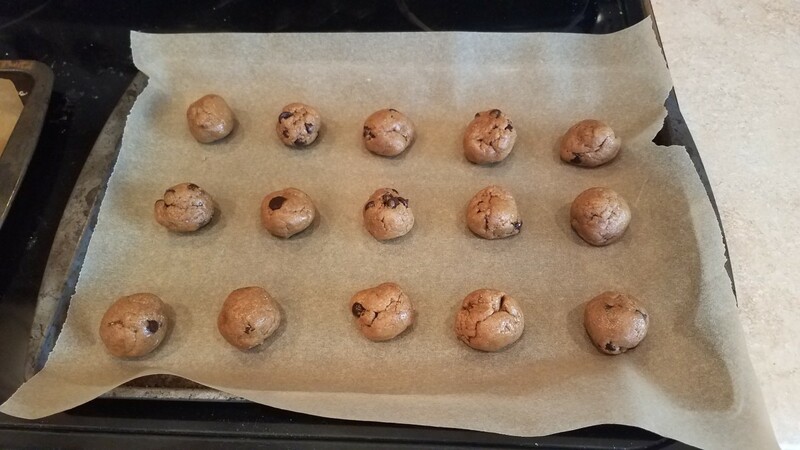 Roll your cookie dough into balls and space them out evenly on your cookie sheet. My husband has always been a little suspicious about the clean eating choices I've made for myself and our kids. In his mind there had to be a catch. The ingredients must be really expensive, or the food probably tastes bad. 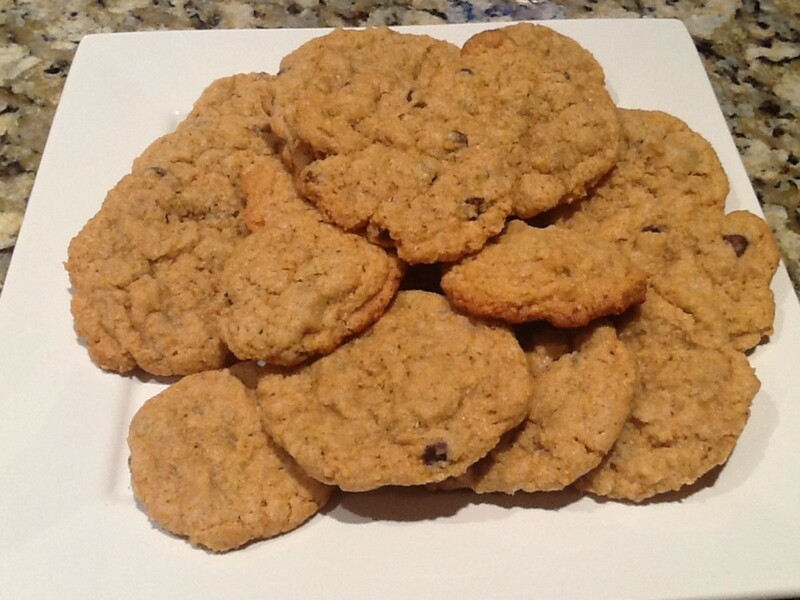 But I had him convinced with these chocolate chip cookies that this was my old recipe. Just so you know, the food is delicious, but takes some getting used to as it's not filled with artificial flavorings, food dyes, or sugar. And I actually save a great deal of money on our grocery bill using better ingredients and making everything myself. I think if you want an excuse not to eat healthier, you'll find one whether it's valid or not. But I guess the same goes for everything in life. 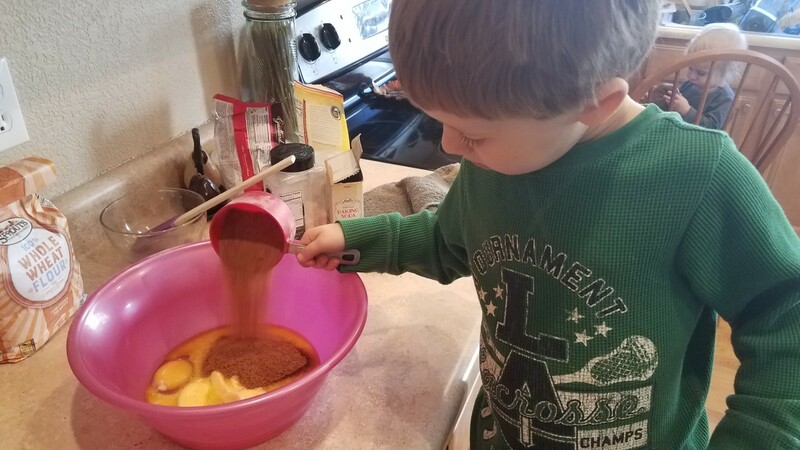 My purpose has always been 1) to feed my family food that would nourish them and not harm them, and 2) to get my recipes as close to what the world offered so my husband would enjoy it and we didn't feel like we were missing out on anything. But sometimes different is very good, especially in this area! 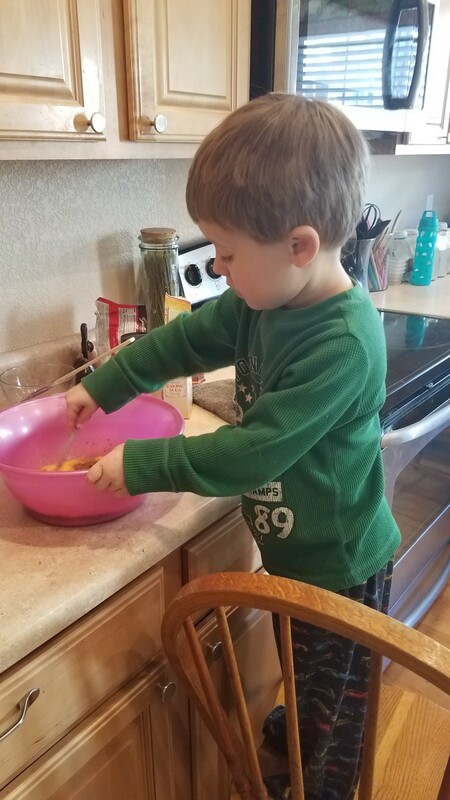 One thing I love is that my kids have developed an appreciation for real food and therefore don't like the taste of the processed foods they are offered in other situations, like cupcakes, goldfish, soda, and cookies. They would prefer to eat the food we make at home, or just have some cheese or vegetables instead. That makes me feel like all of this effort is totally worth it. Saving tons of money on groceries, and the extreme satisfaction of making our family's food myself are just huge bonuses. I wouldn't have done it any other way—except maybe to have started sooner. For more information on eating clean, check out my articles on How to Get Your Family to Eat Healthier and Clean Eating as a Lifestyle. My children know the difference between the food at the grocery store, and the food we buy. They are also learning how to make and grow their own food and raise their own animals—skills that I was never taught, but am proud to pass down. What more could you ask for but for healthy, educated kids? 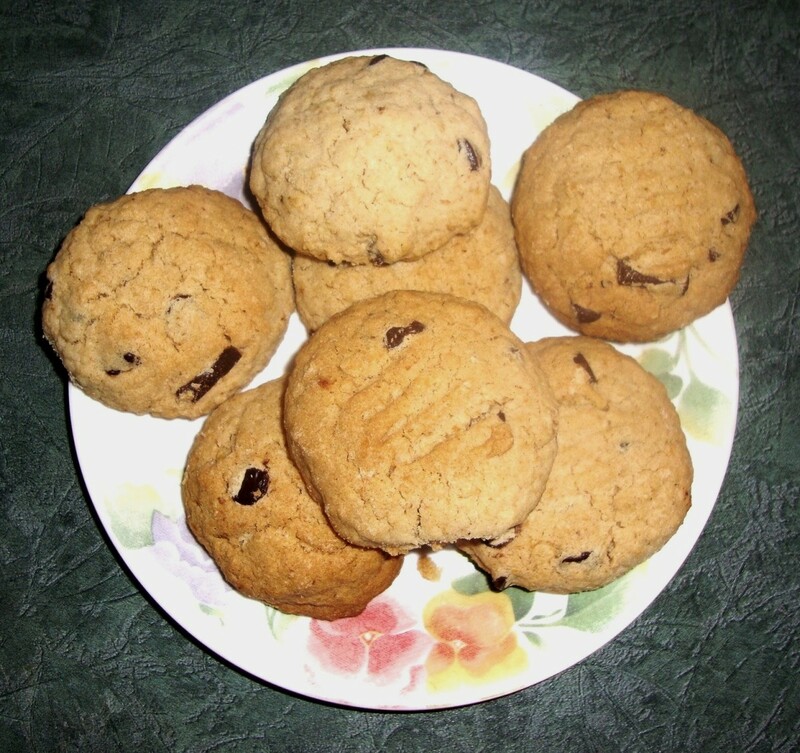 These cookies sound like they may not only be healthy but I think they will taste good also.